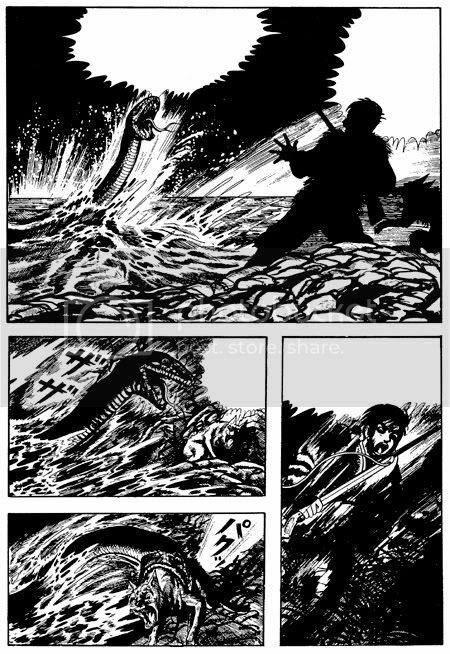 From PW's The Beat, we learn that publisher IDW is making their first foray into manga with the release of Kazuo Umezu's Reptilia! IDW is best known as the publisher of the 30 Days of Night books, and they've made a shrewd choice for their first manga title. The cover is designed by famous illustrator Ashley Wood. I generally dig his stuff, which sometimes has a real Paul Pope and Anthony Wu vibe, but I'm sort of weired out by this cover. 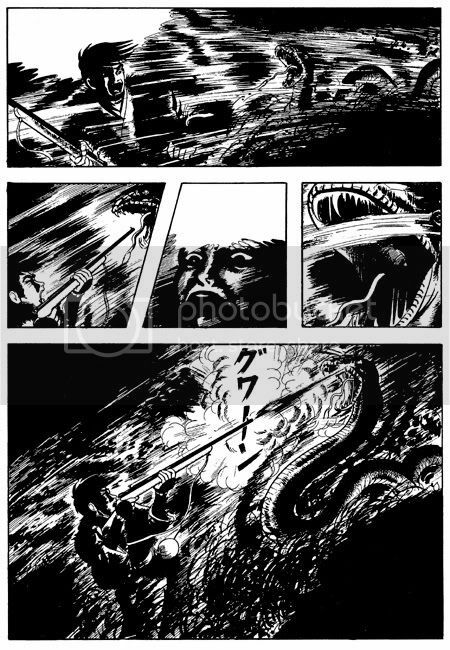 I mean, it can't really hold a candle to Umezu'a own MUMMY TEACHER covers, can it? Presenting a special manga volume perfectly suited for IDW Publishing's darker fare—Reptilia, by "the father of horror manga," Kazuo Umezu. Reptilia was originally published as a serial over 40 years ago, and it's being translated and offered to American audiences for the very first time here. 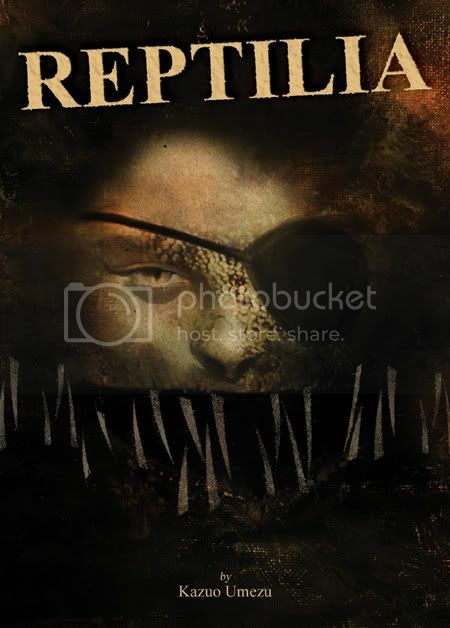 In Reptilia, a hunter sets out into a legendary swamp and dies three days later. 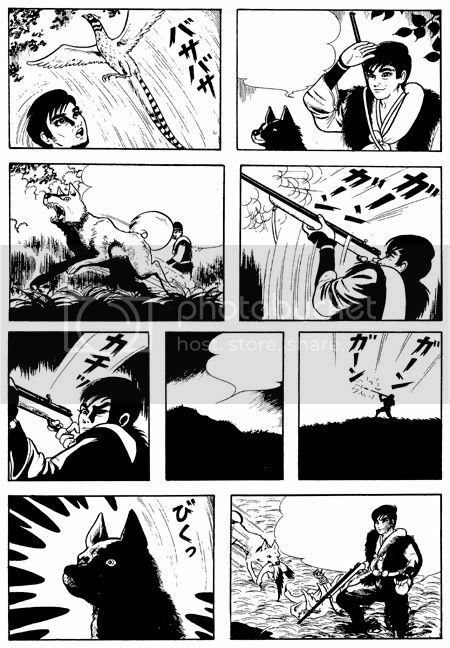 Today, Yoko knows little about what happened to the hunter—her grandfather—but when terror strikes her village on the anniversary of her grandfather's death, she must face the same threat that took his life years before... the terror of Reptilia! It's no Fourteen or Left Hand of God, Right Hand of the Devil, but I'm pretty excited to check this out. Awesome! I'm not so sure about the cover either, for Manga, but I'm a big fan of Ashley Wood - he's from my neck of the woods too :).